The history of literature about war is marked by a fundamental paradox: although war forms the subject of countless novels, dramas, poems, and films, it is often conceived as indescribable. Even as many writers strive towards an ideal of authenticity, they maintain that no representation can do justice to the terror and violence of war. Readings of Schiller, Kleist, Junger, Remarque, Grass, Boell, Handke, and Jelinek reveal that stylistic and aesthetic features, gender discourses, and concepts of agency and victimization can all undermine a text's martial stance or its ostensible pacifist agenda. 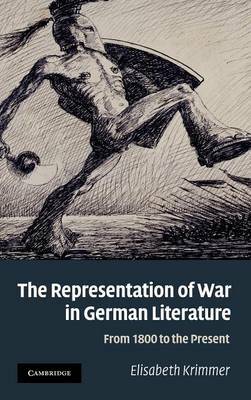 Spanning the period from the Revolutionary and Napoleonic Wars to the recent wars in Yugoslavia and Iraq, this book investigates the aesthetic, theoretical, and historical challenges that confront writers of war.